Do you ever compare yourself to other therapists? Comparisons - we all do it, and it's tough. We look around and see people that are richer, prettier, thinner, more successful, happier and somehow better. I hear it all the time in the counselling room and I bet you do too - other people don’t feel like this, or why can’t I just let this go like other people, or when other people have x happen, they deal with it okay. And I say how do you know? You’ve no idea what’s going on in their lives, you’ve no idea how they arrive in their current situation. 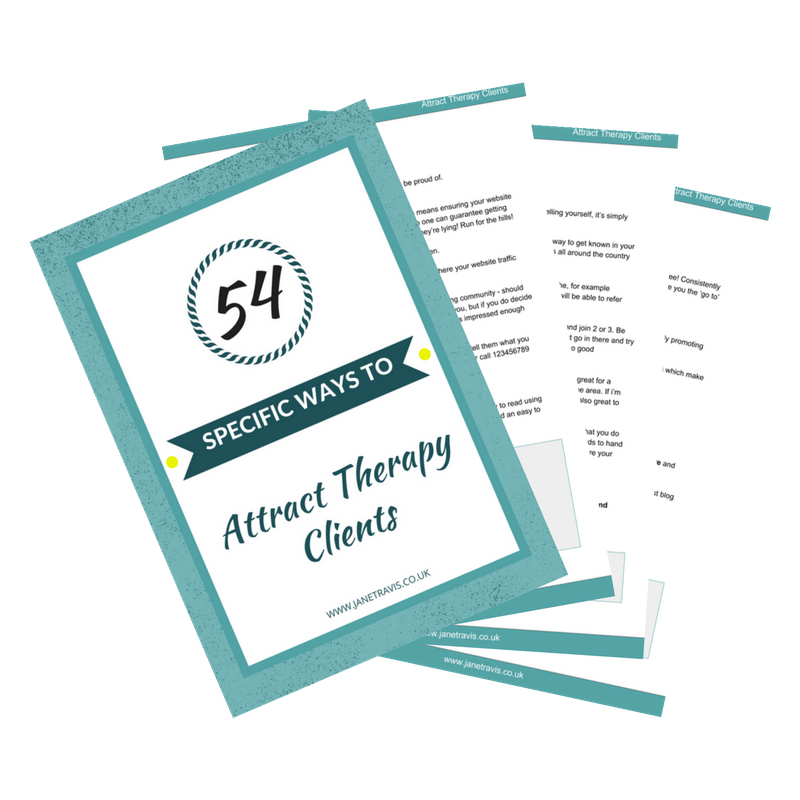 We see posts on social media about other therapists being more successful, getting more clients, more quickly and it can feel like a slap in the face when you’re struggling to get your practice established. STOP THAT! There is NOTHIN​G wrong with you! Read 'How to beat imposter syndrome' NOW! It's time to stop comparing ourselves to other therapists, because when we don’t use a level playing field, we don’t compare like for like. And there's a reason for this - we have absolutely no idea about the person we are comparing ourselves with! Maybe they have a large circle of contacts - lots of family and friends that are all supporting them, sharing info, telling people. If you have 50 people in your corner that has a massive impact on getting started, as 50 people all sharing your social media posts, putting out leaflets and business cards, telling everyone about you will have a massive impact. For instance, if your friend is a hairdresser, they have the potential to talk to many clients about your services. Maybe they got into counselling because of their job. For example, if they are a teacher that wants to help kids so train as a counsellor, they will have a network of both teachers and possibly parents that will be referring. Maybe they have money to invest in advertising. Maybe they are very confident and find it easy to promote their practice - and let’s not underestimate the difference this can make. Maybe they live in a central position so appear high up in searches. This has made an impact on my business over the last few years, as I live 6 miles from the centre of Lincoln and with so many new counsellors setting up I no longer appear on the first page in searches. Comparisons get you nowhere. All that happens is you start feeling bad about yourself. Can comparisons ever be helpful? Yes! Seeing people being successful can be very inspiring and drive you forward. After all, if they can do it, you can. 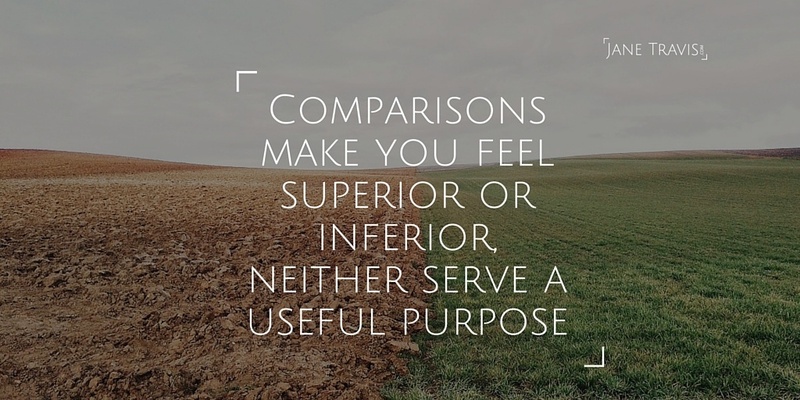 But for the most part, comparisons don't help and ultimately cause resentment and bad feeling. Comparisons strip us of our individuality, so I recommend really getting in touch with your skills and qualities. So play to your strengths - if you're outgoing, then network. If you like writing, blog. If your active on social media, use that. Take the path of least resistance, do the thing that you find easiest and least stressful and get really good at that, and then add something else. Also, keep a track of all your successes, every tiny thing, every small step forward. Consistency is key, so small things done regularly add up. If you're on social media and see a thread about number of clients, scroll past and avoid the whole topic. Here’s the truth about starting up in business: for the majority of people, it’s going to take time to get established. You can reduce the time it takes to get known by consistent marketing using blogging, social media and making your website attractive and SEO friendly, but it will take time for word to get around. And attracting clients is an ongoing process, and if you are new to being self employed then it will take time to learn about starting and maintaining a practice. Invest some time and money into learning how to market your practice, it’s a worthwhile investment and tax deductible, and will boost your skills and confidence. Do you make time for business? Do I need a niche in my counselling practice? So please, do yourself a favour and stop comparing yourself to other counsellors, it’ll only make you feel bad. Remember, there are people out there that need you and what you offer. Keep going, keep the faith - you can totally do this! Jane lives in beautiful Lincoln with her 2 boys and rescue dog. When she's not talking about herself in the third person, she's usually found drinking wine and eating Maltesers. Sometimes she even shares them with friends.